Un portatile business? 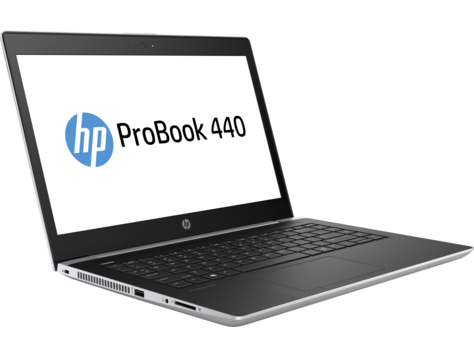 Ci sono molti portatili da 14" nel segmento da ufficio, ed HP ora presenta il suo nuovo ProBook 440 G5 un dispositivo entry-level. La sua CPU quad-core, il display IPS ed il grande touchpad in vetro sembrano promettenti. Vediamo quali sono i risultati nella nostra recensione. Finally, we want to add that this device provides swift performance despite the price tag. However, we would recommend at least 8GB of memory and an SSD storage device. And you have to know that we experienced some problems with the touchpad of our unit. It worked properly only when you press your free hand against the base of the laptop. This leads us to think that the problem was related to the accidental touch rejection system. Tell us in the comments if you experienced the same problem as us. 83.9%: Il punteggio deve essere considerato medio, in quanto il numero di portatili che hanno ottenuto un punteggio migliore è uguale a quello dei portatili che hanno avuto un punteggio peggiore.